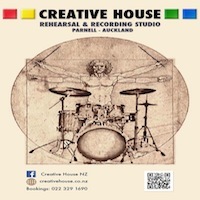 We at Creative House provide professional, friendly and great sounding rehearsal spaces. Every room is equipped with a full PA setup and we also have backline for hire. Creative House is conveniently located in Parnell, Auckland Central with ample parking available.